Asst Chief Jack Austin Jr. Important Patient Advisory, please read! Would you like your refills sent to your home or to a local clinic? This prescription status message does not indicate that your prescription has been processed. 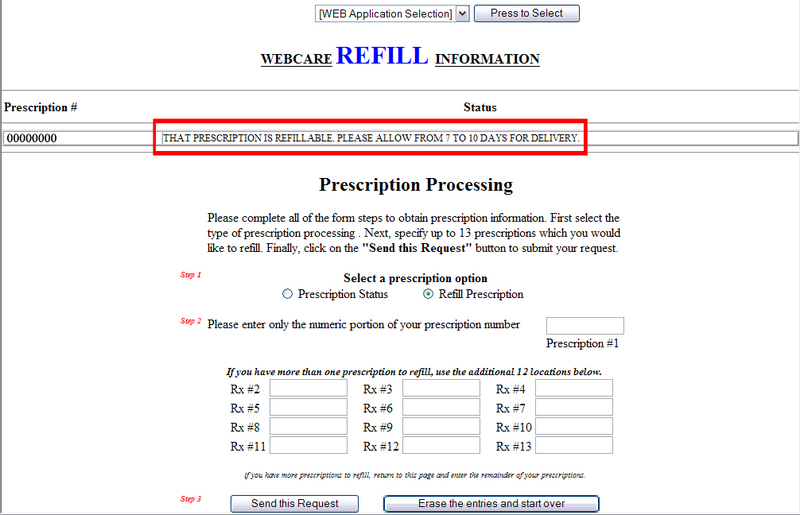 It is your responsibility to RESUBMIT this prescription on or after the specified date. 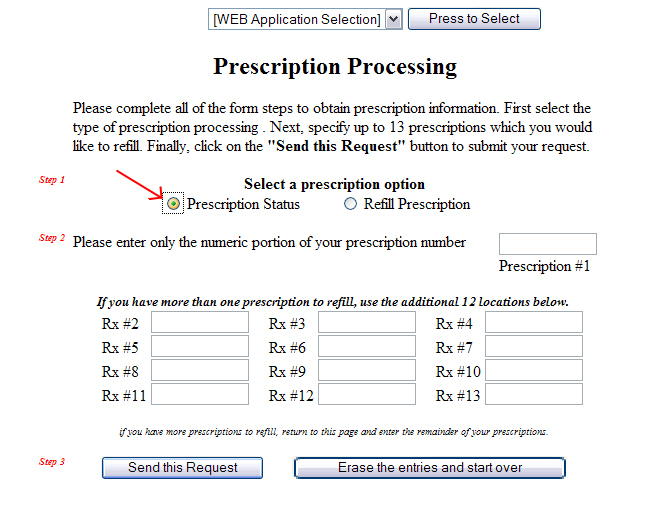 If you require confirmation about your current prescription status, please click the prescription status button shown here. Please consider using this feature if you have not received your medcations after a reasonable amount of time. Average delivery time is between three to four postal days. After you have clicked submit, your Confirmed Refill Submit will display the following message at the top of your screen for each prescription requested.